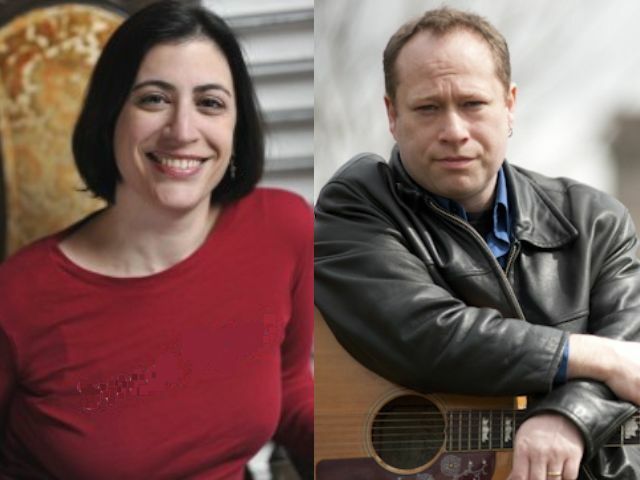 The Folk Music Society of Huntington hosts “An Evening with Goldman Sachs,” featuring singer-songwriters Sharon Goldman and Paul Sachs, at the Cinema Arts Centre on Thursday, Dec. 20, as part of its monthly Hard Luck Café series. The 8:30 p.m. concert will be preceded by an open mic at 7:30 p.m. Tickets are $8 for Cinema Arts Centre and Folk Music Society of Huntington members; $12 for non-members. The Cinema Arts Centre is at 423 Park Avenue in Huntington. 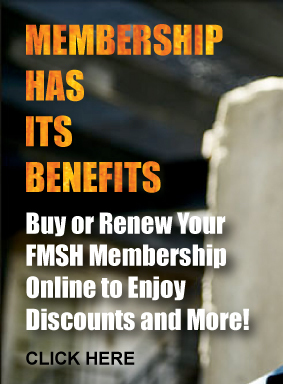 For more information, visit www.fmsh.org or call (631) 425-2925. Sharon Goldman is a central New Jersey-based indie folk-pop singer-songwriter, who grew up on LI, went to college in Washington, DC, spent a year in Israel and two decades in NYC before heading back to the suburbs. For more than a decade, she has been writing and performing songs – usually at small clubs, coffeehouses, house concerts and other intimate musical spaces. She likes singing other people’s songs, too, and is part of the Chicks with Dip who are known for their interpretations of the songs from Joni Mitchell’s Blue album. Last year, Goldman was selected to perform in both the Emerging Artists Showcase at the Falcon Ridge Folk Festival and the Suzi Wollenberg Folk DJ Showcase at the Northeast Regional Folk Alliance (NERFA) Conference. Earlier this year, she shared songs from her latest recording, an EP called Three Sun Songs, as one of 10 showcase artists at a NERFA One-Day Mini-Conference in Boston. She also maintains a blog for songwriters – SongwritingScene.com. Paul Sachs is a NYC-based folk and Americana singer-songwriter and finger-style guitarist. Influenced by such artists as Dylan, Springsteen and Waits, he writes lyrical and gritty acoustic/folk songs – workingman’s music, with sidewalks and subway dirt thrown in. “Paul Sachs’ big voice frames the eloquently told tales of working-class desperation in these times of corporate takeover,” writes Richard Cuccaro, editor of Acoustic Live! in New York City and Beyond, commenting on the artist’s latest release, Oil Town. The CD was among the most-played albums on folk radio last year, according to both the Folk DJ List and Roots Music Report. Sachs also was part of last year’s Falcon Ridge Folk Festival Emerging Artist Showcase and was a finalist in the prestigious 2012 Kerrville New Folk Competition for Emerging Songwriters. WFUV’s John Platt recently included him in one of his “On Your Radar” showcases at The Living Room in Manhattan. Sachs has performed during the Huntington Folk Festival and as part of FMSH’s recent Harry Chapin Tribute.An active participant in the late Jack Hardy’s NYC songwriters exchange for many years, Sachs also had one of his songs selected for inclusion in the Smithsonian Fast Folk Collection. Now in its 44th year, the Folk Music Society of Huntington (www.fmsh.org) presents two monthly concert series, a monthly folk jam and sing-along, and an annual folk festival in conjunction with the Huntington Arts Council. Its annual Members Showcase Concert is set for Saturday, Jan. 5, 2013, at the Congregational Church of Huntington, 30 Washington Drive (off 25A), Centerport.